Thousands of beautiful and unusual shells from around the world will be on display and for sale when the 35th annual Philadelphia Shell Show washes ashore at the Academy, Saturday and Sunday, Oct. 27 and 28. 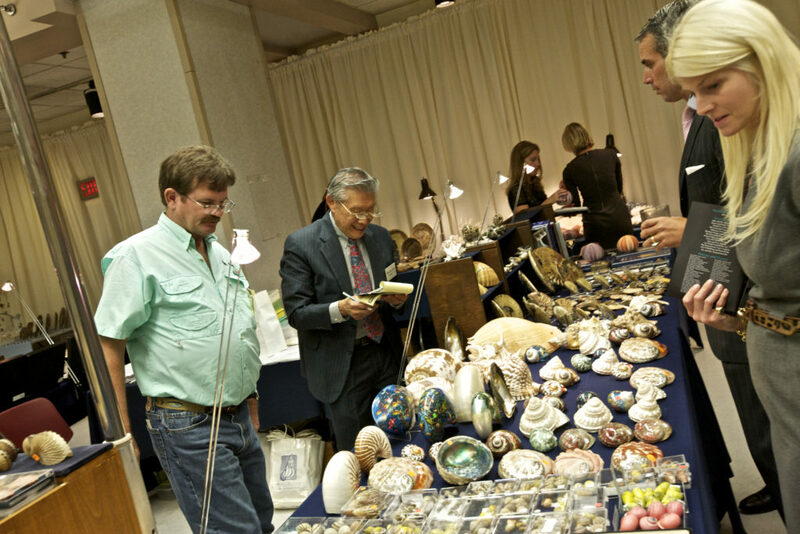 Presented with the Philadelphia Shell Club, the event is the largest show of its kind in the Northeast and features beautiful, competitive displays of shells and shell art by collectors, amateur scientists and artists. Did you know the Academy’s Malacology Collection was established in 1812, the same year the institution was founded? 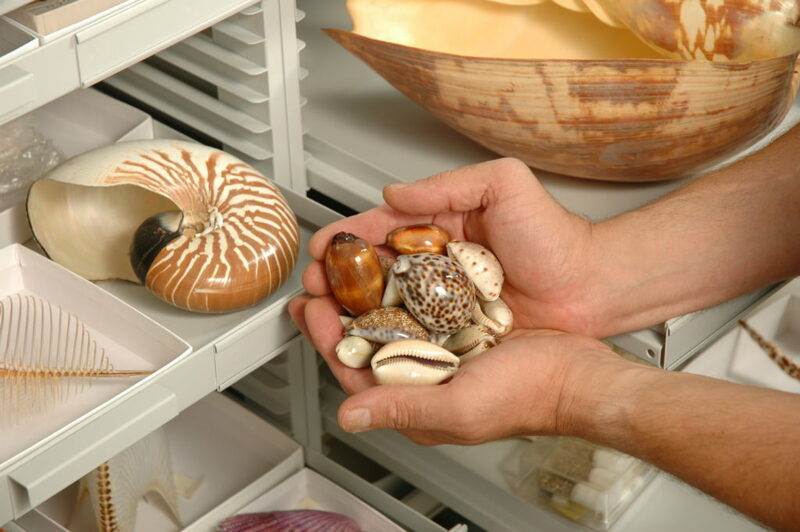 Today the collection boasts more than 10 million shells which occupy over 250 cabinets and 13,000 drawers. The collection is a major resource for scientists around the world studying a range of issues including climate change, biofuels and evolution. 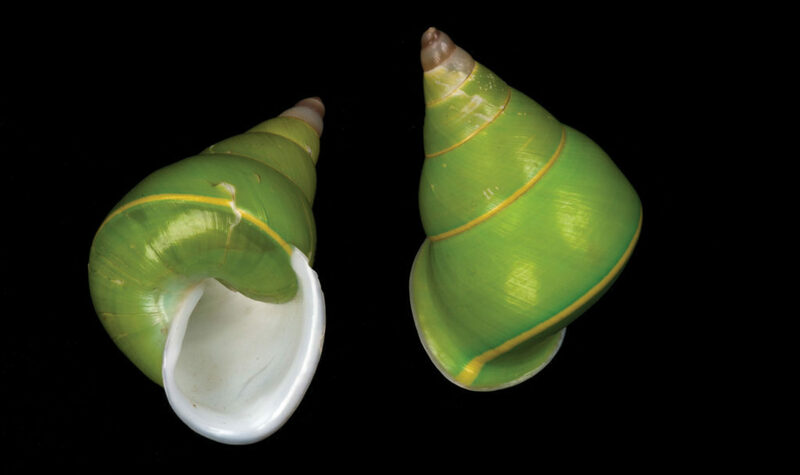 The manus green snail, Papustyla pulcherrima, lives in trees in the rain forests on Manus Island in Papua New Guinea, where pressure on its habitat from logging and agriculture have made it an endangered species. However, it will exist in the scientific record thanks to the Academy’s efforts to preserve important specimens online and in the collection. John Whitenight, a Philadelphia collector of antique crafts, uses glass domes to preserve the beautiful pieces of artwork he creates. Whitenight will give a talk at the Philadelphia Shell Show on “The History of the Art of Shell Work” at 2 p.m. both Saturday and Sunday. He will also showcase some of his own collection of unusual shell artworks. 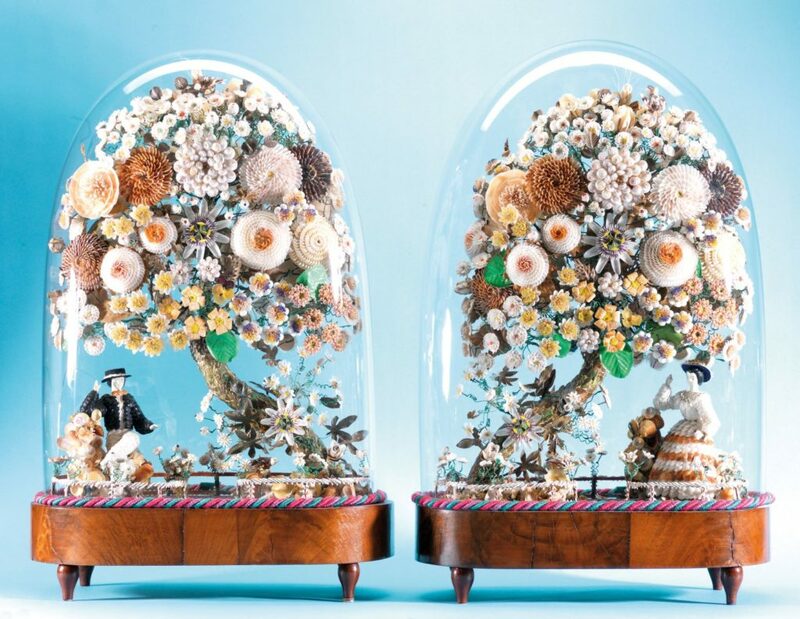 John Whitenight, a Philadelphia collector of antique crafts, created these beautiful Victorian pieces. The Philadelphia Shell Show takes place 10 a.m. to 5 p.m. both days. The show and the Whitenight talk are both free with regular museum admission. To purchase tickets at a discount, visit ansp.org. Visitors can shop at an international shell market packed with jewelry, shells, books and more.